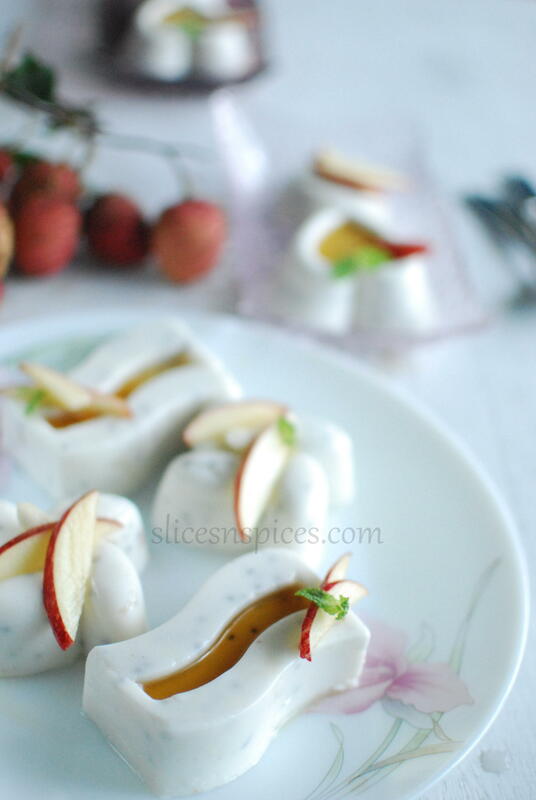 No egg-No gelatin Tender coconut and litchi pannacotta, how to make tender cocnut pannacotta, easy pannacotta recipe, chilled desserts, healthy summer desserts, no bake – no steam healthy tender coconut and litchi pannacotta. Summer vacations means either kids are hungry or bored. Constantly catering to both these needs gets onto the nerves! Come may, the markets are flooded with litchis. After a mango flan, this time decided to experiment with another seasonal seasonal fruit in an eggless dessert. 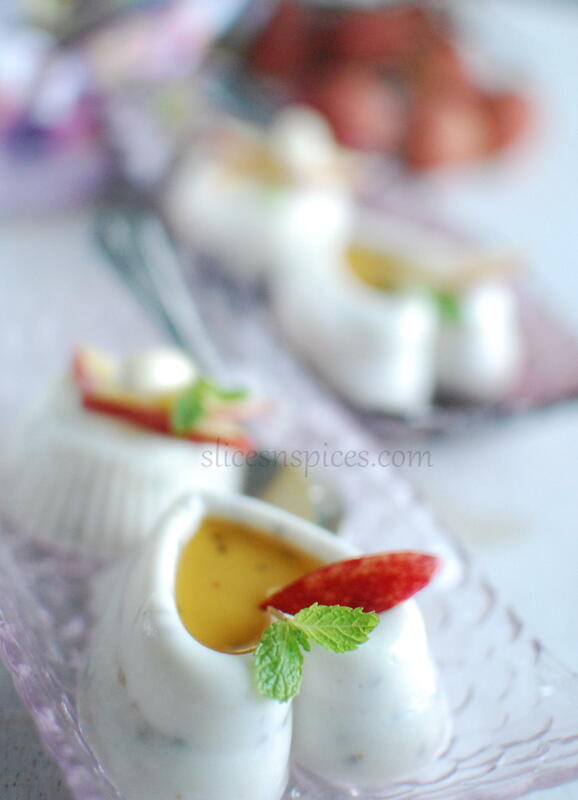 A pannacotta, with the creamy tender coconut and sweet-fleshy litchis, in home collected fresh cream. 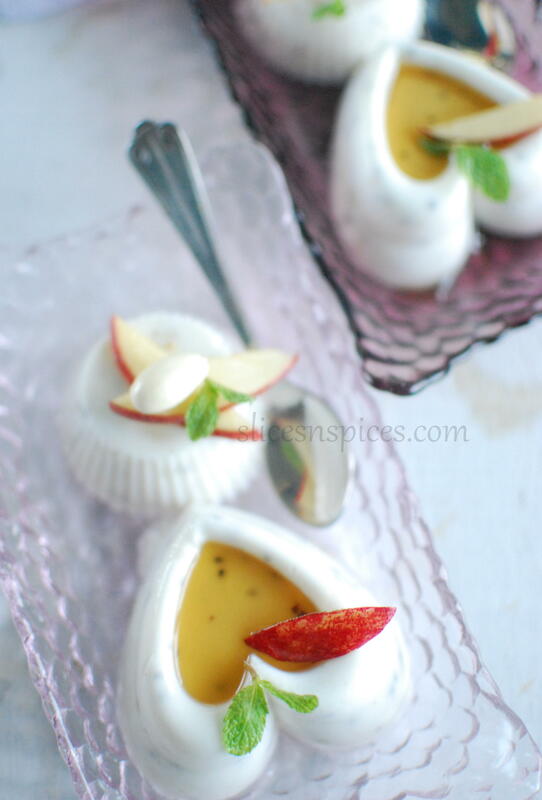 The mango vanilla pannacotta I made last year is one quick dessert I serve with fruit custard in summers. But this coconut-litchi pannacotta is as creamy and silky as you can get. 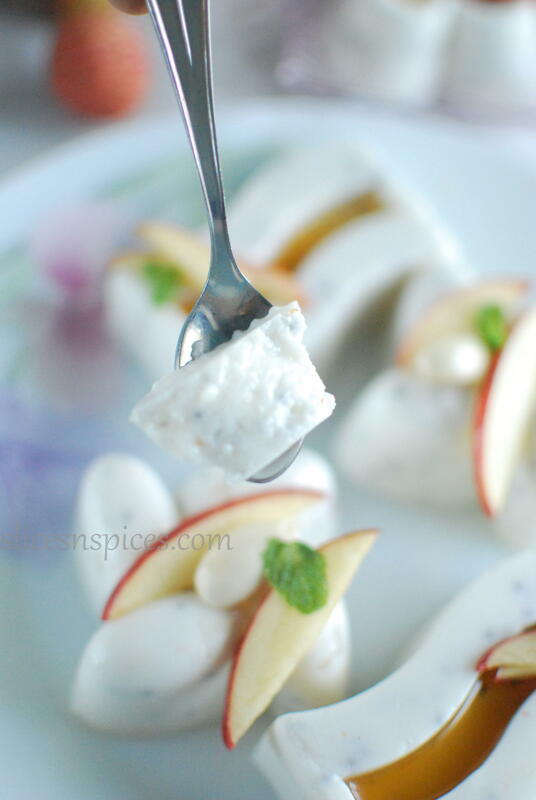 Eggless, no bake, healthy and quick, this is one dessert if you want to try out this summer. 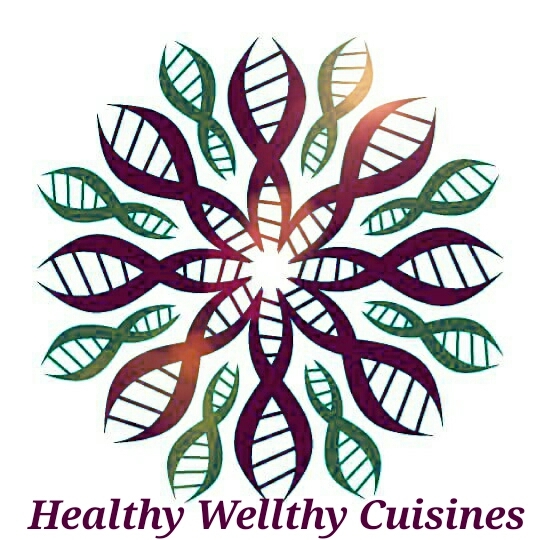 Grind flesh of tender coconuts and 1/2 cup chopped litchis in a blender to a smooth paste, you can add little cream/milk/water while blending. Take it out in bowl and keep aside. Boil half cup water and agar agar, keep stirring on low flame. In another thick bottomed vessel add heavy cream, keep stirring , once it boils switch off the flame. Add the coconut -litchi paste to the boiled cream, stir and mix well. Add sugar, rose extract and sweet basil seeds, mix well. Now, add the agar agar liquid to the coconut mix and with a whisk/spoon give a nice mix. Using a ladle transfer it to silicone moulds. You can also use glasses to set the pannacotta, in that case you may not be able to demould it. 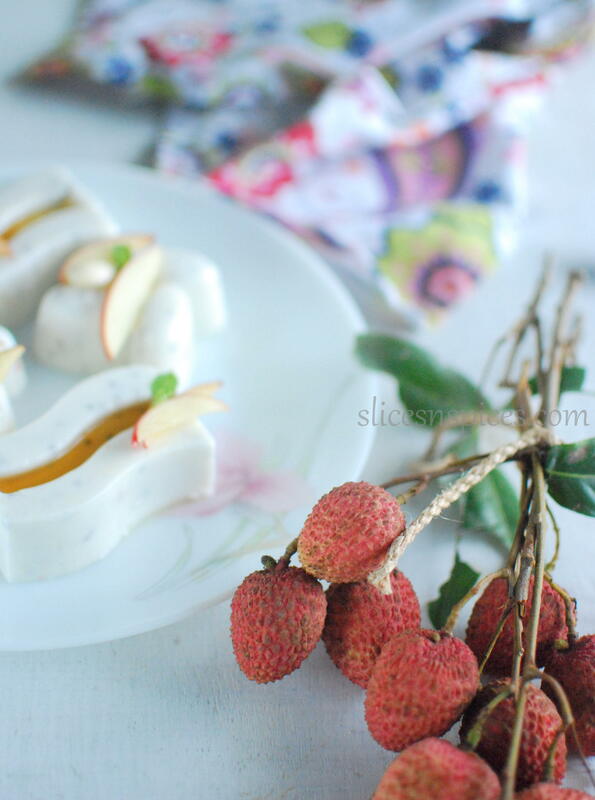 Chill for few hours, serve garnished with fresh fruits . I drizzled some honey too. Soaking fruits for christmas- The easy way out!